Wigtown High Street @ High.St - High Street shops and High St businesses. Large Google map of Wigtown's bookshops. 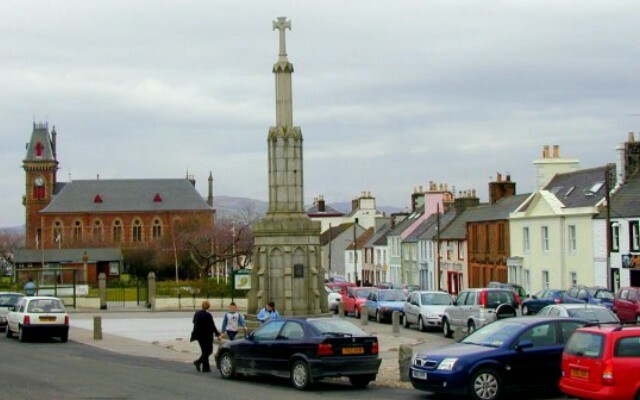 Wigtown is now known as Scotland's National Book Town but has a long history going back to the 14th Century when the town provided a crossing point for the river Cree and was a busy coastal harbour community. Wigtown's High Street splits into North and South Main Street and these areas are home to many themed bookshops. Wigtown may be small but if you are a book buff, be prepared to spend several hours here as there are miles of shelving containing books on every subject imaginable. The Wigtown Book Town web site has detailed information on events and Book Town information. The official Dumfries and Galloway Tourist Information website has lots of information about events in the area or you can find out more about the local towns of Newton Stewart, Kirkcudbright and Dalbeattie on this site. We particular recommend a visit to the Gem Rock Museum at Creetown. There are also some bookshops not on High St or Main St that we have listed here to complete the picture.